"Our Local Natural Environment .. for Life"
Worthys Conservation Volunteers has already undertaken a number of surveys and field studies, the results of which are presented below. 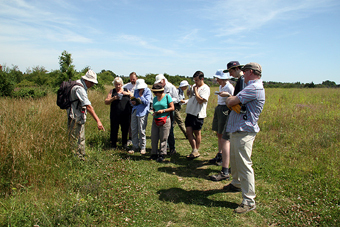 So far this has included wildflowers, hedgerows, butterflies and ancient trees, carried out at several sites. See our map. We will be looking to extend this, not least to include wildlife surveys. So if you are running - or about to start - your own survey and need help then please contact us. Bat & Moth Watch - August 2011 - St Michael's churchyard, Cheriton. Bat & Moth Watch - August 2009 - our first 'bat & moth evening watch' at St Swithuns Wildlife Habitat, was a great success. Top Field, located at grid reference reference SU 485 335. Kings Worthy Hedgerow Survey - Summer 2004 - by special permission of Michael Edwards (the author) and Kings Worthy Parish Council. Hedgerow & Wildflower Survey, Broadview Improvement Scheme - Summer 2004 - details of the hedgerow and wildflower survey are covered in the Broadview improvement proposal. 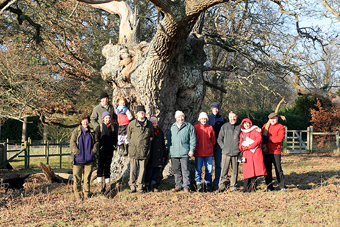 Can you help us 'discover' all the ancient and veteran trees in our area? "The Ancient Tree Hunt is a five year project to find and map all the fat old trees across the UK. 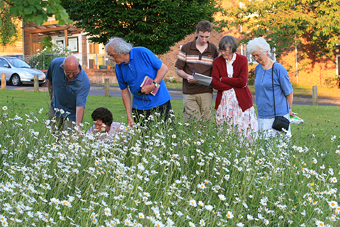 The online interactive project is led by the Woodland Trust in partnership with the Ancient Tree Forum and the Tree register of the British Isles. .. Visit www.ancient-tree-hunt.org.uk for more." - The Woodland Trust's 'The Ancient Tree Hunt' leaflet. Maybe you know of a majestic oak, hollowed and knobbly, or a yew standing venerable in an old churchyard, even old dead trees still alive with insects and fungi, all holding the secrets of time and history spanning many, many hundreds of years!! If so, we can help measure up, record details and take photographs, and register these online, for all to see. As part of our winter walk and Christmas lunch in December 2007, we discovered seven, yes 7, new trees which were duly measured and recorded - five majestic old oak pollards all in a line, at Cowdown, Chilland, probably forming old boundary of some sort; another oak pollard elsewhere in on Cowdown and an well-known yew tree at St John the Baptist Church, Itchen Abbas. Here is the report Martyr Worthy Tree Hunt Survey - December 2007. Gospel Oak at Hampage Wood, Avington SU 5420 3120. 'A legend also connects Hampage Wood with a still earlier date. When Winchester Cathedral was being built, Bishop Walkelin being in need of timber asked William the Conqueror for the gift of as much timber as he could carry away from Hampage Wood in four days and nights. The king consented, and the bishop, having collected all the woodmen from the surrounding country, managed to clear the wood with the exception of the one tree under which St. Augustine was said to have preached. 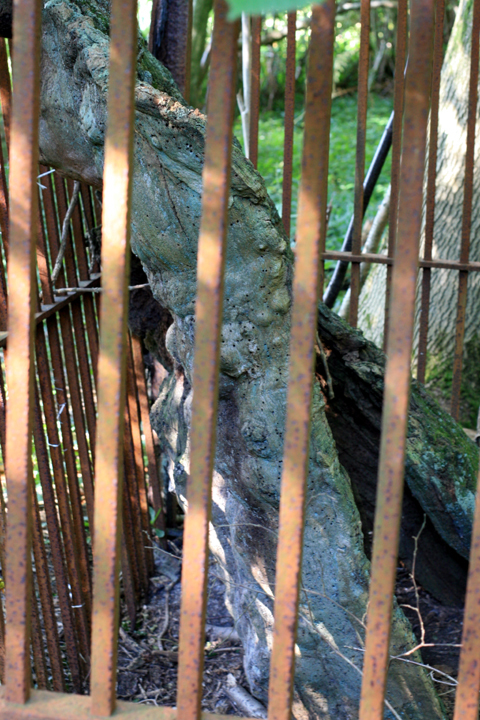 The hollow shell of a tree, kept together by iron bands and protected by an iron fence, still stands in the wood, and is known locally as Hampage or Gospel Oak.' From: 'Parishes: Avington', A History of the County of Hampshire: Volume 3 (1908), pp. 306-08. URL: http://www.british-history.ac.uk/report.asp?compid=41978. Date accessed: 24 August 2007. 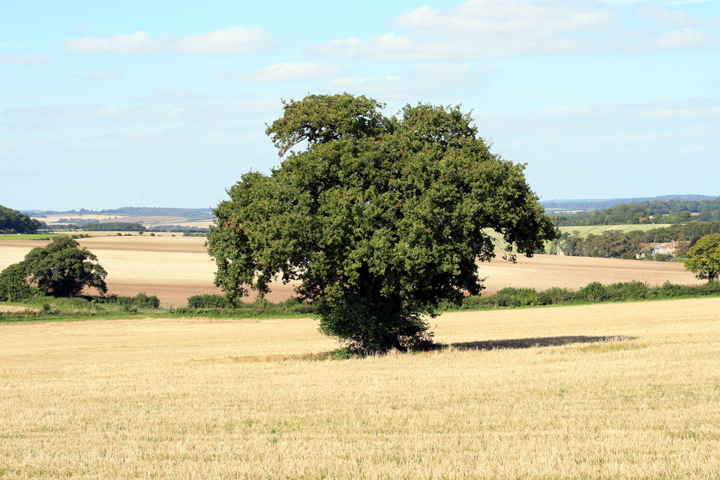 Oak in barley field at Gander Down, SU 5517 2801.